So, I have been on a mini hiatus recently as any regular readers might have been able to tell. In the past, the blog has taken over many facets of my life, but over the last few weeks, my real life has wrestled the blog away from me and I just haven’t found the time. Fear not, I have eaten at many lovely places, and I will try to add a few words to each over the next few weeks to let you know about all the delicious details. So let’s start at the most recent, which was a dim sum trip to Pheonix Palace organised by the one and only Mr “F*cking” Noodles. 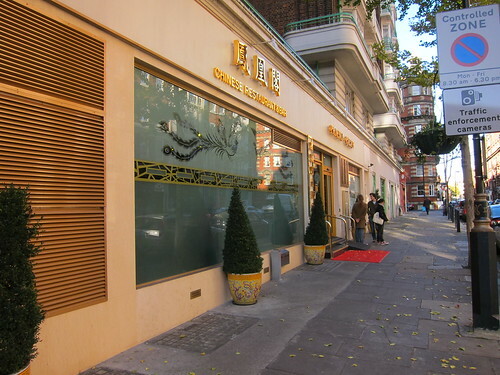 Now, I hadn’t heard of Pheonix Palace before, but it is a popular haunt of Mr Noodles and I trust his judgement in the minefield that is the London Dim Sum restaurant. First impressions are strangely comforting. The place is absolutely massive and is adorned with large walls covered in Dragons and red & gold paint. Match that with marginally excessive Xmas decorations and parachuting santas and you get the picture. I love it, the absolute seeming chaos exacerbated by the frantic staff and the high chintz rating are amongst all the things that endears me most about Chinese restaurants. The first thing that struck me was that the prices seemed quite steep (about £4 a dish) which is far more than I am accustomed to paying, although I guess the prime real estate (right next to Madame Tussauds) semi justifies it. No matter, as it doesn’t seem to have dissuaded the punters. Even in the huge space, it soon filled up quickly. The menu is as you would expect in any self respecting dim sum restaurant. 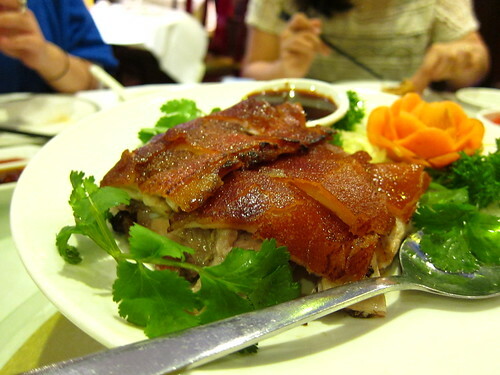 Arranged neatly into steamed, baked and fried, you can get a good steer on how much you're (over) ordering. I normally like to aim for three to four dishes a person, and throw in a plate of noodles too. The noodles we ordered were unlike anything I had tried before. 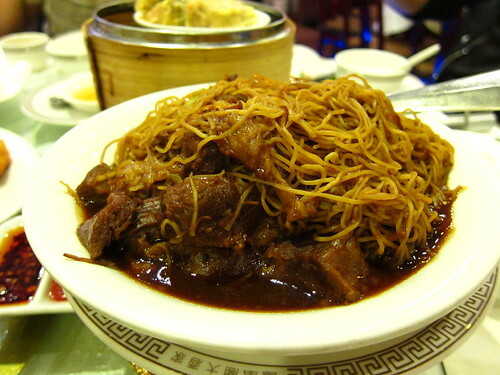 A beef brisket steeped lo meen, or thin egg noodle was intensely beefy and came with a little bowl of plain soup to lubricate your mouth and the noodles. Very nice. We also ordered a few of the seemingly perennial "specials" (which are normally as prevalent on the menu as the sale at DFS) and thankfully they were indeed quite special. The suckling pig (only available at weekends) had a lovely crisp exterior, with shards of crackled pig skin sitting proudly on top of a decent portion of warm, juicy pig. Really lovely. The wasabi proven dumplings came green (more from food colouring than wasabi) but packed an enjoyable sinus clearing feeling deep within the succulent prawns. Everything else was pretty decent, not mind blowing but nice enough. I normally judge a dim sum restaurant by their sui mai (dense and ok), their wu kok or taro croquettes (best served boiling hot, these were lukewarm and a bit claggy) and the char siu so or BBQ pork pastry parcels (which were excellent). When the bill arrived, we forked out £25 a head which is much more than I am accustomed to, but hardly in the nosebleed territory for such a filling and enjoyable meal. I liked Pheonix Palace and if I am ever lured north of the river again for my dumpling fix, I will be more than satisfied if the choice happens to be Pheonix palace. Glad you enjoyed it. Weirdly, I thought the taro croquettes were fine but thought the siu mai distinctly lacklustre! And it's funny how we all have our different dim sum benchmark dishes - for me, the har gau (prawn dumplings) and cheung fun have to be tip top. Thanks for the blog post. I really like Phoenix Palace. Between that and Princess Gardens, but are a bit more pricey, but not unreasonably so. 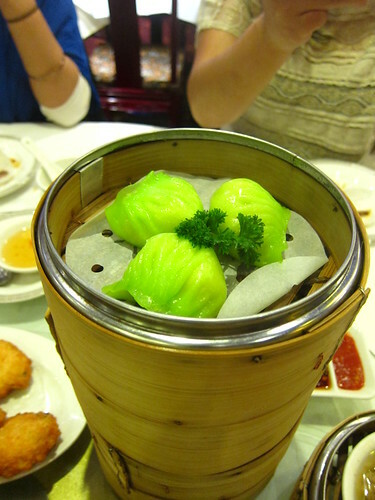 I find the quality a lot more consistent that other dim sum places in London. They also serve wonderful ice-cream mochi. Did you manage to try any? @ Mr Noodles - I liked the wu kok when it is steaming hot and still moist, but 100% behind the benchmark dishes and not everywhere is going to be able to nail it. @ Patrick - I am a little put off by the cost, as the additional quid and a half per dish really adds up, but both are good and I guess consistency is worth paying for.